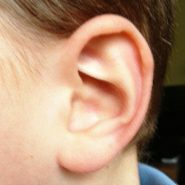 Until about half an hour ago, for a few days I couldn’t hear out of my right ear because it was clogged up with wax. And now, b”H, a few drops of hydrogen peroxide did the trick, and I can hear out of my right ear again! But these last few days showed me just how important my perfect hearing is to me. And this nano-nisayon reminded me that if someone offered me a billion dollars for my healthy ears, eyes, tongue, heart, brain, liver, legs, hands…I would say NO! And that means that, even if we struggle to pay our bills, all of us are multi-billionaires. This past Sunday I went to a seudat hodaya in honor of the birth of the daughter of my dear friend. There were about 20 women there, family members and old friends. My friend decided to go around the circle and bless any women in need of blessings. A bunch of the women there were old friends from her single days, now in their forties and still waiting to find their husbands. “AMEN!” we all called out. To be the one already blessed with a husband, already blessed with a lifetime’s share of very painful and very miraculous births, already blessed with the home full of children I dreamed of and now have. with which Hashem has filled my life. Amen! And a great post! Even with all the blessings you so beautifully expressed, we all need the constant blessing of life, to be able to be there for our children and spouses in good health. So for all of you out there reading this blog, Hashem should shower you all with revealed good – nachas, health, and the awareness of how special we all are to Hashem and the world! And I bless you with brachot of gashmiut. Hashem should give you and your husband the means to provide everything for your home and family. You will need money to make simchas ( very soon ) and all the things you need cost money. Like I always say when we need money. We have a rich father. He should take the best care of his children. It’s a beautiful post but I’m going to focus on a side point. A few drops? A doctor once told me to pour the hydrogen peroxide in, and I do! And it takes 2 weeks for my ear to clear after repeated pourings and it is SO uncomfortable until it does. Any tips?